Cornelius returns with Mellow Waves, his first album since 2006’s Sensuous. Listening to an album like Mellow Waves by Cornelius in 2017 is an intriguing venture. The sounds and stylistic approach that make up the album hearken back to the time in the late 1990s when the nascent turntablist movement and sample-culture brought a different approach to music making. Suddenly, building sounds from loops and samples became common practice -- and the synthesis of strange, outre sounds to familiar melodic cues led to a beautiful bubble of pop music made by experimental-leaning musicians. This meant bringing the experimentalist touch of Smile-era Beach Boys with the stranger sounds opened up by the classic German band Can, but then underscoring them with the abstracted hip-hop vibe. Like Can, these artists used current technology not only as a means of production, but also as a thematic motif, referencing the culture at large with jeers. The most successful American proponent of this sound was Beck, whose fusion of junk culture, classicist pop songwriting (taking influence from not-only from canon musicians like the Beach Boys but also more acquired tastes like Serge Gainsbourg, and Scott Walker), and hip-hop production became a runaway success. But Beck wasn’t working in a bubble: the English group Primal Scream released a series of excellent, multifaceted albums that melded rave and industrial sounds to Rolling Stones-type bar-band rock ’n’ roll. The French band Air made weightless pop music that brought together lithe ballads, incidental music, and breakbeats. You could even consider the Flaming Lips’ high-water mark, The Soft Bulletin as another key piece in this backward-looking, but future sounding movement. But while the artists listed above have since moved away from this sunny, unique music to varying results, Cornelius has returned to this core sound, making an album that reminds us of the wonder and openness that this time in pop represented. Mellow Waves transcends being a simple nostalgia piece because of the feverish energy Cornelius harnesses in all of the songs. The arrangements throughout are busy, but not necessarily fussy. While the songs feel as cohesive individual pieces, the listener is always aware of the space (or lack thereof) between the individual elements in any given song -- often, acoustic guitars strum loudly against synth squelches, nearly burying Cornelius’s murmuring voice. In lesser hands, this approach could have resulted in a turgid, uncomfortable mess. But Cornelius shapes each element with a measured sense of control that belies his restless experimentation. At its best, like on the album-opener “If You’re Here”, which features a stuttering rhythm, bulging synths, phased guitar, and a loping solo, bathe the listener in a balmy sensation that’s familiar, but astral. “Surfing on a Mind Wave, Pt. 2” hits the same pleasure center that Fennesz’s glitch-masterpiece Endless Summer does with similar widescreen instrumentation. Songs like “Sometime / Someplace”, “Dear Future Person”, and “In a Dream” are more conventionally pop, but feature lively playing that is reminiscent of Brazilian tropicalismo. The second half of Mellow Waves is not only as engaging as the first half, but it might actually be stronger. 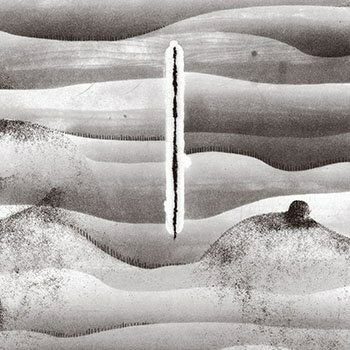 The twin-highlights of “Helix / Spiral” and “Mellow Yellow Feel” so differing paths of Cornelius’s brilliance. “Helix” is a strange, vocodered odyssey with light electronic percussion, arpeggiating synths -- it recalls a more frantic iteration of Can’s Future Days material. “Mellow Yellow Feel” is immaculately rendered goofiness that recalls the childlike energy of Animal Collective’s best work, but features a sense of control and depth that that band rarely reached. “The Spell of Vanishing Loneliness”, featuring Lush’s Emma Anderson, is the album’s most unadorned piece and employs this clarity to make the lyrical conceit hit home. Mellow Waves’s mellowness is more in the eye of the beholder. As nice as the vibe is, there is a high level of mental activity here that definitely put it into a more experimental arena than the soft sounds might imply. Still, Cornelius’s approach here isn’t reductively experimental. Most of these songs are love songs and there’s a warmth and clarity throughout that make them both ingratiating and ruminative. Although the sounds might be a bit dulled to the seasoned listener after 20 years of similar excursions, there are a few cuts here that deserve to be held up as classics in this sun-dappled sub-genre.